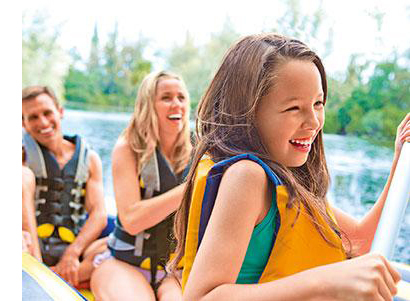 Whether it's a backyard pool, a lake or a deserted beach, Intex has the right boat and accessories for you! Bright colours and graphics, perfect for leisurely cruising and relaxing around the pool on lazy summer days. A broad range of recreation boats made with strong and durable materials for stability adn rugged use, suited to fishing and boating in lakes and mild rivers. Designed and engineered for optimum performance, comfort, rigidity and versatility. It features SUPER-TOUGH triple-layered, laminated PVC material to maximise comfort and safety, while resisting gasoline, abrasion and sunlight.